This post was written by Anthony’s mom, Debbie. Anthony was about six months old when I started to notice something was different about his back. He would roll over and try to sit up and there was an obvious bulge/curvature in his spine. I took him to my pediatrician who told me there wasn’t anything to worry about. He informed me that some children take a bit longer to sit up on their own. At this time, I had two-year-old twins at home and was very aware that children progress differently, but there was no overlooking the curve of his spine. Unhappy with that visit, I scheduled an appointment with a specialist at a hospital in Philadelphia, PA.
Anthony was about a year old when he was diagnosed with infantile scoliosis. My family was with me in the room when the doctor put his x-rays up on the screen. It was devastating to see for the first time how bad his spine was curved. The doctor explained that it would be best for Anthony to have surgery. He stated the curve was progressing fast and this could affect his breathing, as the curve appeared to be pressing against his lung. I remember crying as we all left the hospital. We were all upset. Determined to get a second opinion, I spoke with my Aunt Linda that same day and she told me to contact Nemours/Alfred I. duPont Hospital for Children in Delaware. I contacted the hospital and had an appointment within a week. In October of 2006, we met with Dr. Gabos who is an orthopedic surgeon. The very first moment he began to speak to us, I knew my son was in good hands. Dr. Gabos was honest and extremely compassionate about all of our concerns. He said Anthony may one day have to have surgery, but we are going to put him in a brace and meet every six months. Anthony was 17 months old with a curvature of about 60 degrees. In less than a week, we had the pleasure of meeting with Harry Lawall Jr. (Bud) who made Anthony’s first orthotic brace. This was not going to be an easy task. He was to wear the brace about 22 hours a day. TWELVE years later, Anthony is still wearing a brace and his curvature is between 15 – 20 degrees. He currently wears the brace approximately 11 hours a day! 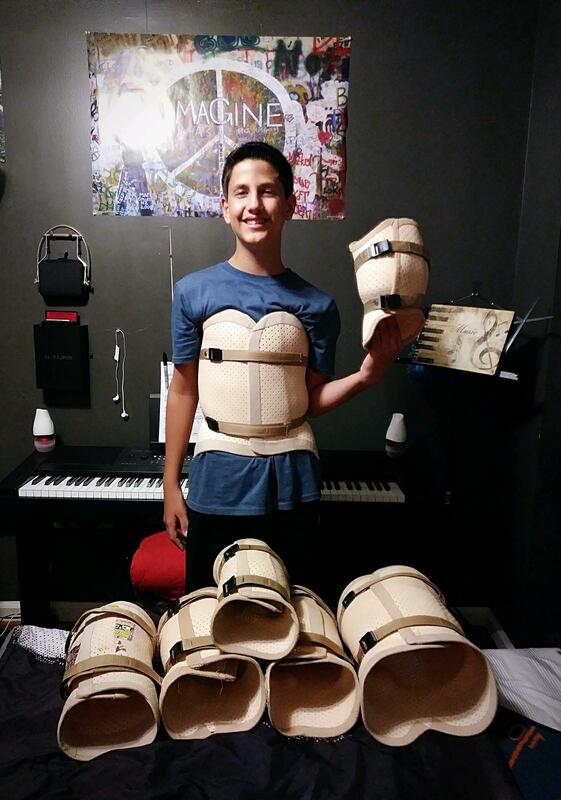 Anthony with his many braces! July 2018 we met with Dr. Gabos for a follow up to have another brace made by “Bud III,” who took over the Wilmington business since his father passed away. 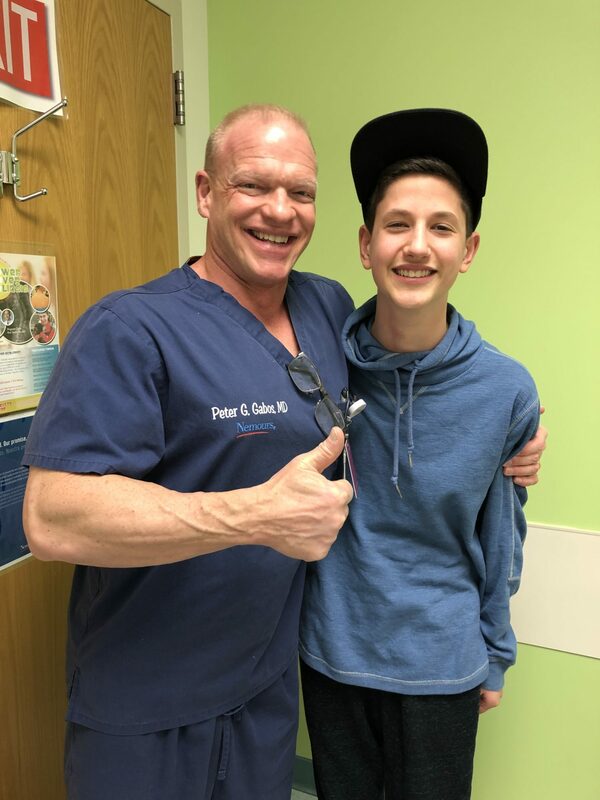 Both Dr. Gabos and Harry Lawall III, along with their fantastic staff, are amazing, kindhearted human beings. They all have treated my family and my son as if we are FAMILY. 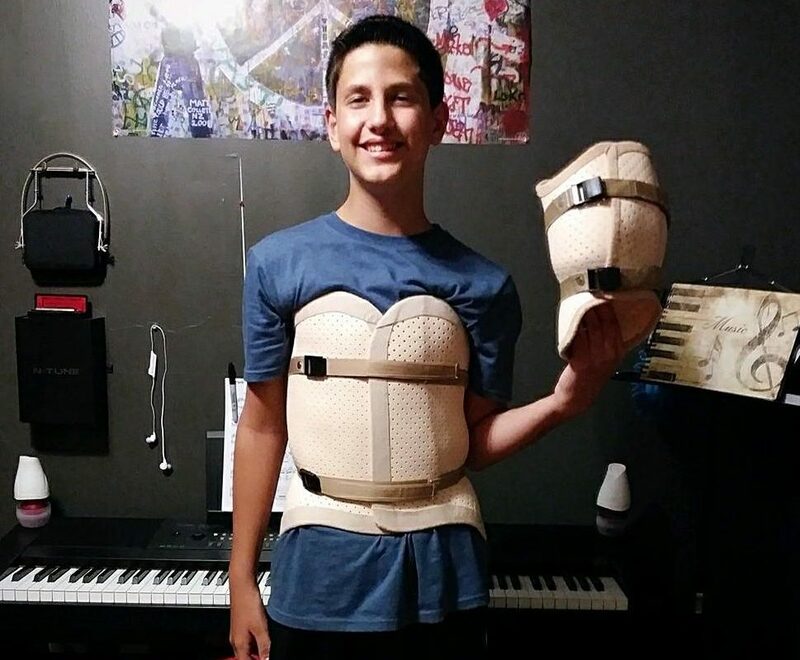 Dr. Gabos still explains that it is possible down the road Anthony may have to have surgery, but in the meantime the progress that he has made due to the bracing is truly amazing. There is no doubt in my mind that if we had not went to Nemours duPont Hospital for Children and had the impeccable treatment by this compassionate group of people my son would not of been able to pursue his passion towards a music career. 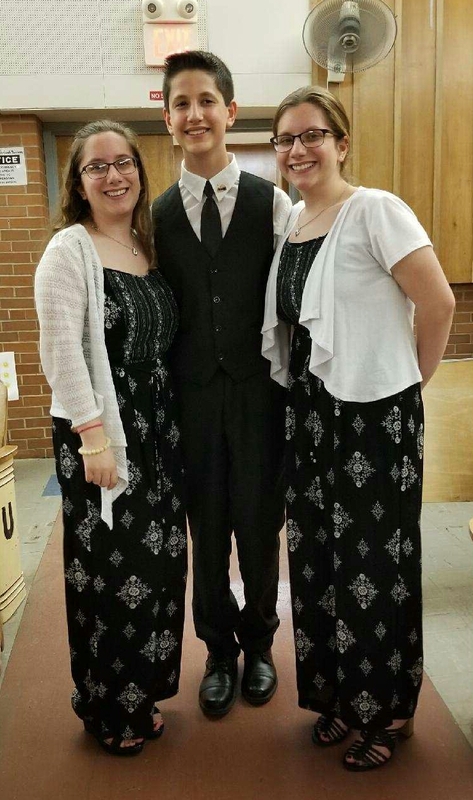 Anthony with his twin sisters Juliana and Graci. Anthony is currently a proud 8th grader at F .D.R Middle School in Bristol Township, PA. He has been playing the alto saxophone since the 4th grade and is self-taught on the piano. He enjoys playing many other instruments too. 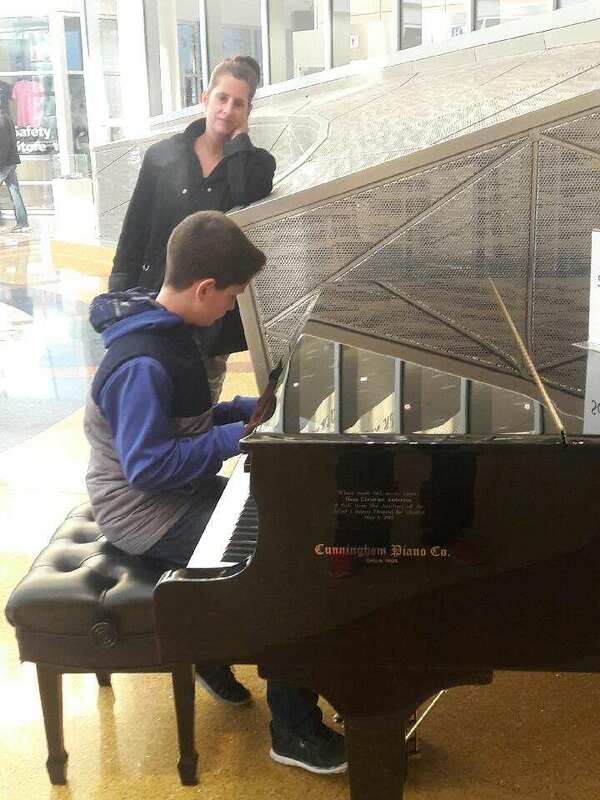 Anthony playing the piano in the Atrium at Nemours duPont Hospital for Children. Anthony is in the F.D.R. concert band, Students in Concert (SIC), Jazz Band and Harry S Truman Marching Band. He was selected to be in County Band and also received a Presidential Scholarship to be a part of the Youth Orchestra of Bucks County (YOBC). He is a part of the Wind Ensemble under the instruction of Mr. Karl Krelove. Anthony currently takes private saxophone lessons with Ms. Kathleen Mitchell. Last year, he wrote and conducted a song called “lmprovviso” at an F.D.R. awards ceremony. Anthony’s dream is all about music. He is currently studying music theory with his music teacher Mr. Gerhart. He has been very fortunate to have so many inspiring and supportive music teachers within Bristol Township. All of them continue to encourage and assist him so that he can absorb and learn as much as possible about Music. They are a wonderful group of instructors – Mr. P, Miss Root, Andrew Sumbillo, Mr. Gerhart, Mrs. Kristen Winebrenner and Keith Krelove. He is lucky to be surrounded by so many talented young people that he admires and respects. Friendships that l am sure will last a lifetime. We are all so very thankful that Dr. Gabos is Anthony’s orthopedic doctor. 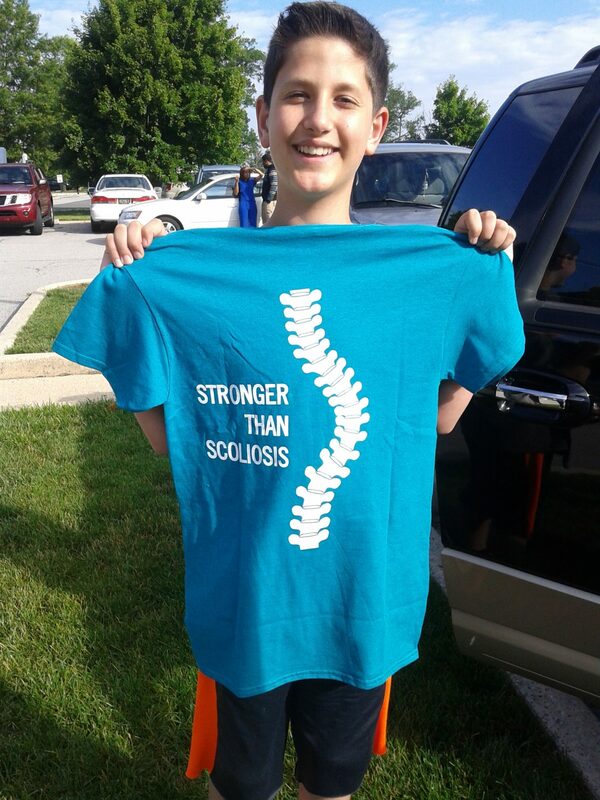 We will be forever grateful for the entire staff that has been, and continues to be, involved in Anthony’s scoliosis treatment. Thank you Dr. Gabos, “Bud” Lawall and the Nemours duPont staff for everything.